David Furlong holds an MBA from the Queen’s School of Business and a Bachelor of CS from Memorial University of Newfoundland (Canada). 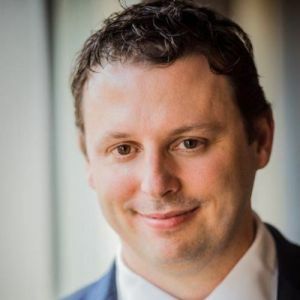 Mr. Furlong joined National Bank of Canada in 2012 and has held a number of senior-level positions including Senior Vice-President – Marketing Experience Delivery and Transformation, Senior Vice-President –International Development, Mergers and Acquisitions, Senior Vice President Transformation, and in November 2017 was appointed SVP Artificial Intelligence, Venture Capital and Blockchain. David has led the implementation of many projects to support the Bank’s overall multichannel strategy, expansion strategy, and transformational agenda. Throughout his various positions, he successfully led several projects to increase the use of e-channels, analytics and process redesign while working with nationally-recognized partners. David holds board positions at ABA Bank (Cambodia), ATA IT (Thailand), Credigy (USA), and Element AI (Canada).